Enjoy one of Ohio’s most scenic rivers located in the beautiful Hocking Hills by treating yourself and your family to a leisurely trip down the Hocking River in Logan, Ohio. Your outdoor adventure is available by canoe, kayak or raft. Canoeing, Kayaking, Rafting, Fishing, Camping Cabins, Camping, Canoe & Kayak Sales, Paddling Gear, Moonlight Tours, Family Fun, Naturalist Led Trips. And much more! 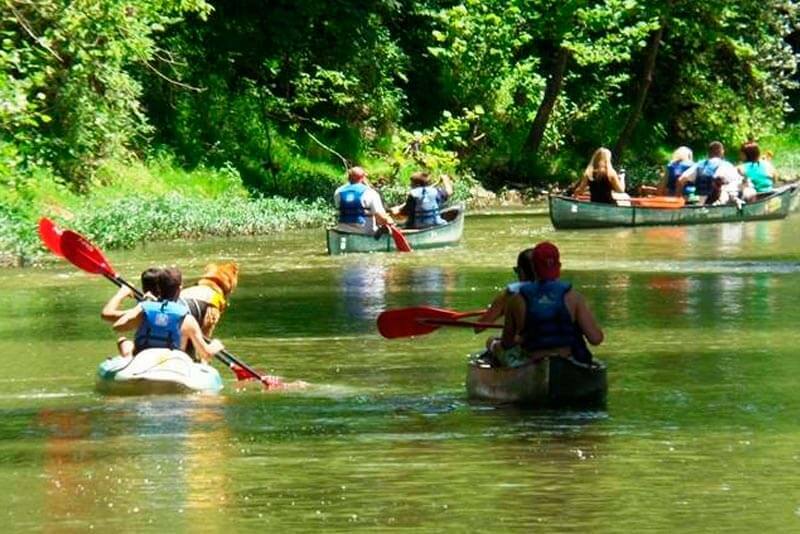 They take great pride in offering visitors to the Hocking Hills a chance to discover the scenic beauty of the region from the unique vantage point inside a canoe, kayak or raft.